confirmed by a set of Bronze relics that have been discovered suggesting that prizes were awarded to the winners. 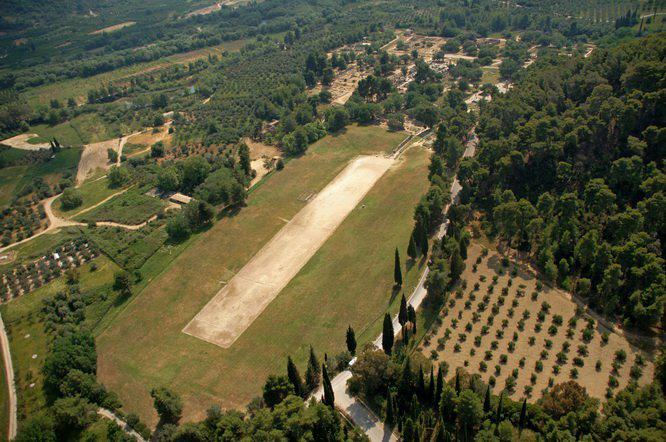 As the ancient games were associated with Olympia, the modern Olympic Games derive their name from this source. The most famous of the Track and Field games that is an enduring testimony to man's endurance is the Marathon. This is the longest race of endurance. But this race as per records available is a more recent phenomenon as it did not form part of the ancient games. The Modern Marathon was first introduced in the 1896 Olympic Games at Athens, Greece. The race at this Olympics was conducted from Marathon, a place northeast of Athens to the Olympic Stadium at Athens. The measured distance was 42.195 kilometers (26 Miles and 385 yards). This race commemorates the dash by Pheidippides, an ancient courier who brought the news that the Persian Army of Xersis had landed at Marathon. He is reported to have run 149 miles to Sparta with this news and alerted the Spartans to the Persian threat. The ancient games were held every 4 years and the modern games have followed suite. Once the games became a regular feature other games that test a mans strength and skill were added. Thus the Javelin throw, discuss and Shot put throw as well as wrestling events were incorporated in the ancient games. In ancient India, Khustie or Indian wrestling, Hand and Arm wrestling and events of Archery were conducted at regular intervals, though there was no regularity like the Greek events. The track and field events have now expanded and the Olympics have become a world event, but we must thank our ancestors who thought of these feat of strength and prowess that regale us today.